really, its the pilot fish that is the king of the ocean. 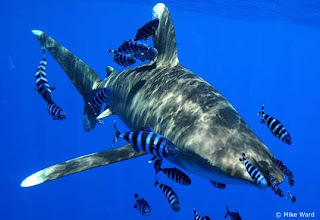 the pilot fish eats the parasites off the shark. follows the shark around for its entire life, and never gets eaten. they are like the personal assistants.